The Green Phone Booth happily rolls out the welcome mat again for Karen Moser-Booth, a Boston-based writer and photographer posting on No Impact Man. As an environmental activist of a medium, kelly-green hue, sometimes I can get a bit … mhmm … complacent. So when I read No Impact Man last month, it was more than a good book: it was a wake-up call. A kick in the rear end. A strap-up-those-laces-and-start-running cry for action. A time to really, really scrutinize how my beliefs line up with my actions. Assessment and action. Yeah, I needed this. Colin (see this great interview) plays out his beliefs in seven phases of elimination during his No Impact Year: trash, transportation, food, consumption, energy, water, giving back and reflection (aka EcoSabbath). As I read through each section, I found myself automatically assessing my own habits. My husband, 15-month-old daughter and I generate about one 13-gallon bag of trash each week, along with a half of a recycling bin. Colin, Michelle and their daughter made it their goal to produce no trash. (Ever wonder where your trash ends up?) I’ve made it my goal to reduce our trash count, so I’ve taken a few steps in the last few weeks. By returning egg cartons and fruit baskets to the farmers at the farmers market (who are grateful for it, I swear!) and bringing my own produce bags, I’ve made a dent. Looking for less packaging in the food products I buy—another dent. Switching to cloth handkerchiefs, dent. Vermicomposting: big dent … and on my to-do list. Take an inventory of your trash count (recycling too) and make an effort to reduce it by 30% this week. Here’s where I can get a little smug. See, I haven’t owned or driven a car in more than two years. Living in a metro area, I can do that fairly easily (although there is a learning curve—lugging groceries in the wet New England winters is not my favorite cup of tea). Of course, Mr. No Impact Man took it a step further: no motorized transport. That means mass transit. My bus! Whatever will I do? Walk, as it turns out. My bus stop is about two miles from my subway stop, and in my post-book zeal, I discovered that it’s often faster to walk home than take the bus! Plus it’s much more scenic and gives me some much-needed downtime to decompress. My husband and I are even looking into getting used bikes to eliminate that pesky subway ride. And I’ve been taking the stairs at my office. My breath is less ragged after my climb now, too. They say it takes three weeks to make a habit stick: one more week to go! Challenge yourself to forgo the gas-guzzler for one trip today. The real-estate industry has got it right on this one: location, location, location. Local, local, local. Colin had the pleasures of a year-round farmers market and I am so jealous. With the bounty of summer up here in Massachusetts, it’s a bit late for me to learn how to can and preserve. I have been frequenting the organic stand at my farmers market as usual, but this year we’ve turned our habits around. Rather than buying what we need to make the recipes we know, we have bought what’s available and figured out what to make from there. From scratch. Delicious doesn’t even describe it. How can you eat more in-season recipes? Cutting carbon emissions is not enough. We need to use less. In this culture of go-go-go, buy-buy-buy, we need to slow down. Big time. In his book, Colin praises Annie Leonard’s Story of Stuff for drawing attention to the wastefulness of all our consumption. My own rate of consumption is fairly low and when I do buy clothes or similar items, I generally buy secondhand. Sniff. Do you smell complacency? Reeks, doesn’t it? I did just switch to CREDO Mobile, a Working Assets company that gives to progressive nonprofits, and greedily took part in their free new phone deal. I should censor my grabs of freebies and I need to cut off my I-want list. And there are all those single-use sugar packets for my coffee at work. What do you consume each day? I went without air conditioning this summer, so I thought I’d have this energy section covered. Until I read that Colin went without all electricity. No lights, no washer and dryer, nothing. I delved deeper into my habits and, OK, I have a big ugly secret here. As all true-green eco-superheroes know, you can cut phantom energy by using power strips and turning them on only when you’re using the appliance. And I had heard this over and over, and yet … I didn’t do it. Why? I can’t really say. But I’m doing it now and I’m planning to take up Crunchy Chicken’s Freeze Yer Buns Challenge for the first time this winter. What will you do? Most scientists believe that water scarcity will be the next major catastrophe caused by climate change—and they’re thinking soon. Frankly, before I read No Impact Man, I didn’t realize that this was such a dire problem. I’ve resolved to time my showers, use a standing bowl of water for dishes instead of running the faucet, and place a large stone in my toilet tank. Assess your water usage and figure out how you can reduce it. Giving back through eco-activism is so important for collective action. Colin signed up with local grassroots group during his No Impact Year, but you can also write a guest blog post (!) on going green, wear your garden on your front lawn, protest against mountaintop coal removal, practice random acts of green kindness, join the Carrot Mob, or donate items to Goodwill or Freecycle. Young and old eyes are watching—what will you show them about giving back? This was an important section for me to read, because I tend towards typical Type A personality traits: get it done as quickly as you can. While I advocate slowing down in theory, I’m not so sure I actually slow down as much or as frequently as I need to. Be still. Reflect on what changes you’ve made and what the good life is to you. Embrace your children. Take a long walk in the woods and pause to really and truly appreciate the abundant life all around you. How will you quiet your mind today? How will you simply enjoy? The No Impact Experiment, a one-week trial of the seven phases outlined above, starts in October. Sign up to receive notification of the official start date and sign on for this challenge—our Earth and our children need you to assess your habits and step up to the plate. I LOVED your bit where you said... "Rather than buying what we need to make the recipes we know, we have bought what’s available and figured out what to make from there. From scratch. Delicious doesn’t even describe it." That is something we enjoyed quite a bit this spring and summer! When you are presented with a counter full of produce, it's time to start trying new recipes! We needed to eat, can or freeze this stuff before it rotted, so we got creative! It was very fulfilling! Yes! It was a different approach for us initially, but it really makes much more sense ... and the results are drool-worthy! I used to live in Boston, and that was one of the things I loved, how easy it was to get around without a car. I now live just outside of Tacoma, WA, and it's much more difficult. I love these kinds of lists. Even for those who have been on the green bandwagon for a while, it's helpful, from time to time, to take a look at what you're doing and, as you say, get rid of the complacency. Thanks for guest posting! The toughest one for me is transportation. My daughter lives on a college campus and doesn't need a vehicle. I drive a minivan; it's probably my worst eco-sin. I try to balance it by walking and taking city buses in the summer when I'm not teaching. This is a fantastic summary of the main points in the book. I'm still in the first section, not having given myself enough time to read. Still, I plan to start the No Impact Man reading group on Fake Plastic Fish tomorrow (Monday) so for those who'd like to discuss in depth, feel free to come on over. Thanks for linking to my interview with him. He's truly an amazing, insightful person. And real. In fact, I just got home from seeing the movie again, this time with my husband and friends, and also having another chance to see him in person as he was here in Berkeley to answer questions after the film. One of the main things he stresses over and over is happiness. How can we be happy and take care of the planet at the same time? How many of us are truly happy? It's a big question. First, we just have to tackle the trash. @Amy: Boston is great for its walkability, and we are planning to launch the largest bikesharing program in the US in 2010. Maybe there is a ridesharing program in Tacoma? @Green Bean: Thank you for the opp. 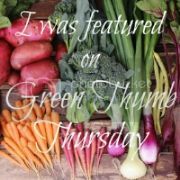 One of the things I love most about this blog is that you embrace environmentalists of all shades of green. Inclusiveness is always the best policy. @Daisy: Any time you can get away from the car is good! Have you looked into ridesharing, carpooling, doubling up on errands? I found the car habit hard to break before I moved to Boston, but there ARE other options ... it just takes a different approach. @Beth: Thank you! Your interview was wonderful, and I'm glad you've deemed Colin a non-stuntman--he has the right approach and his project has so much potential. Fingers crossed that folks partake ... and I look forward to your discussion @Fake Plastic Fish!